These fake emails are after your Amazon login details! We’ve had an increased number of reports about these fake emails purporting to be from Amazon. 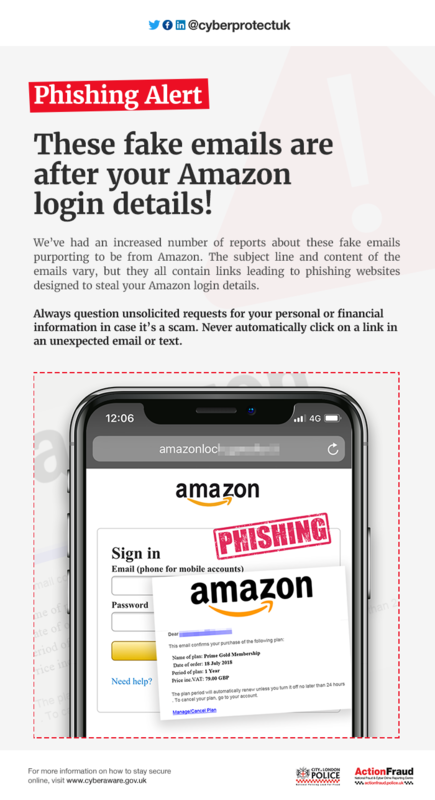 The subject line and content of the emails vary, but they all contain links leading to phishing websites designed to steal your Amazon login details.